A packed schedule means you're always on the road, and this laptop is just the tool you need to make sure that your workflow doesn't pile up while you're traveling. The ultra-fast processor lets you tackle multiple apps at once, so you can work efficiently all day long. 15.6" display has a resolution of 1366 x 768 for sharp, clear images and features touch-screen technology that allows you to navigate through menus and programs with just a few taps and swipes. WLED backlighting provides a thinner, more energy-efficient screen. Powered by 7th Gen Intel Core i5 for the speed you need. Multitask with confidence. Includes 12GB of memory to run your programs and games. Memory is not expandable. Multiformat digital media card reader for file transfers made fast and easy. 2 USB 3.1 ports (data transfer only) and 1 USB 2.0 port allow you to quickly move files to and from a flash drive or other device. Wide Vision HD camera provides an 88°, wide-angle field of view that lets the entire family fit into video chats. 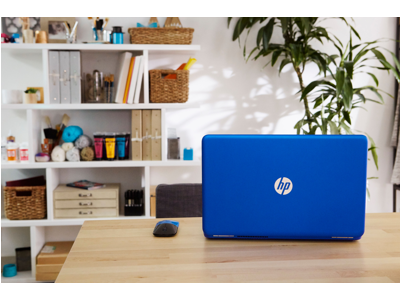 Dual speakers with HP Boost and B&O PLAY tuning deliver booming audio as you watch movies or play games. Full-size backlit keyboard includes a numeric keypad for fast data entry. Stays powered for up to 7 hours. Battery life will vary depending on the product configuration, product model, applications loaded on the product, power management setting of the product, and the product features used by the customer. As with all batteries, the maximum capacity of this battery will decrease with time and usage. With up to 7 hours of battery life2, stay powered all day with charge to spare. Take on whatever life brings you with enough power left over to enjoy some well-earned free time. Choose the options that matter most to you. Add a backlit keyboard, upgrade to Full HD3, pick your processor and memory, or load up the extra graphics boost you crave. 3rd Generation Intel® Core™ processors keep up with you. With Intel processors you’ll enjoy stunning visuals, effortless multitasking, increased speed and enhanced security to help you create, play, entertain and achieve.